Hello! I have been loving Bobbi Brown products recently and especially their makeup brushes! 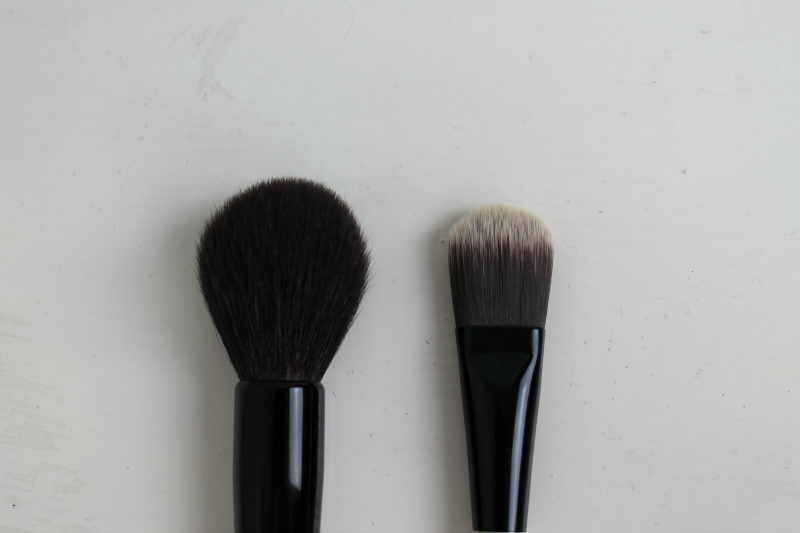 Just before Christmas I bought myself the Powder Brush and Foundation brush and I thought I would do a review of these as I have now been using them for a while. The Bobbi Brown Powder Brush is amazing and is honestly the BEST makeup brush I have ever used! It is easily the softest brush I own and I have used this everyday since I bought it. I find it applies my face powder amazingly well whether I want to sweep, buff or push powder onto my skin. The only bad thing about this brush is that I do find it sheds a little bit. It's not everyday I use it and when it does shed it's only a little bit, so I don't mind too much! I am very tempted to buy another one of these and start using it for my bronzer too! 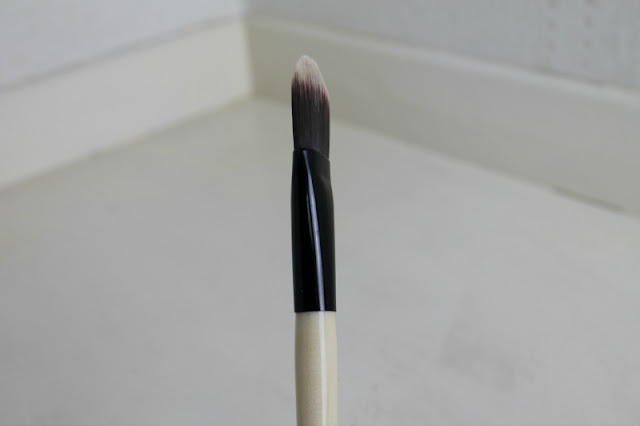 I also bought the Foundation Brush which I have been using not quite everyday, but almost! I did mention this in my Favourite Foundations and Foundation Brushes video. I don't usually like traditional, flat foundation brushes, however this one is lovely to use. It doesn't feel as much like I am 'painting' foundation onto my face like other flat foundation brushes can. It is very soft which means it blends foundation very easily and flawlessly. I use this with my Bobbi Brown Long Wear Foundation and I find the two together leave my skin looking flawless and my foundation lasts all day! 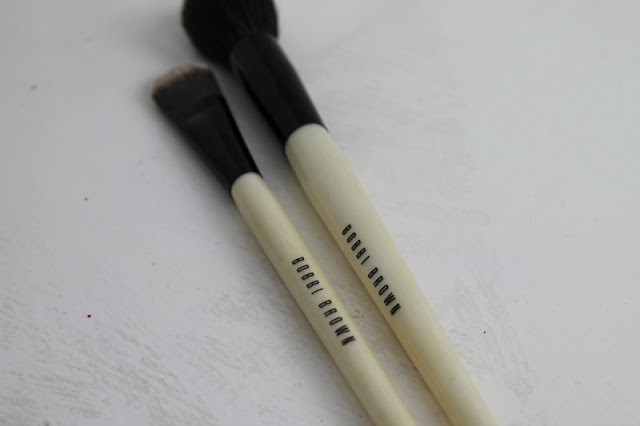 I absolutely love both of these brushes and I am already looking at which Bobbi Brown brushes I can buy next! I do think they are pretty pricey but now I have tried them, I definitely think they are worth it. Have you tried any Bobbi Brown brushes? 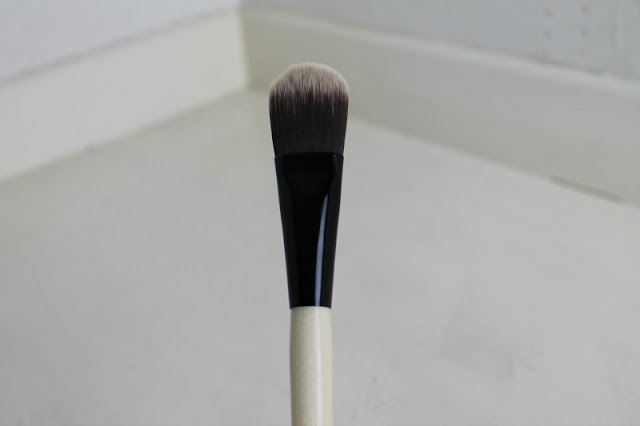 What is you favourite makeup brush brand? Do you use Bobbi Brown's face powder too? I use Bobbi Brown, swear by it for foundation and eyeliner! They seem lovely. 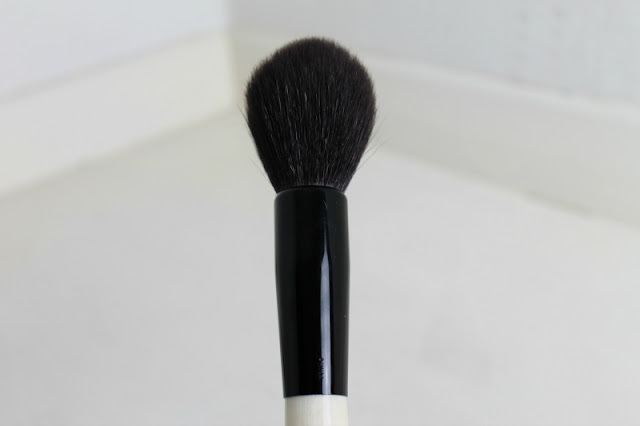 I've been looking for the perfect powder brush! Love the blog, You have mentioned how much they are.. Lovely post tho, the photos are great!